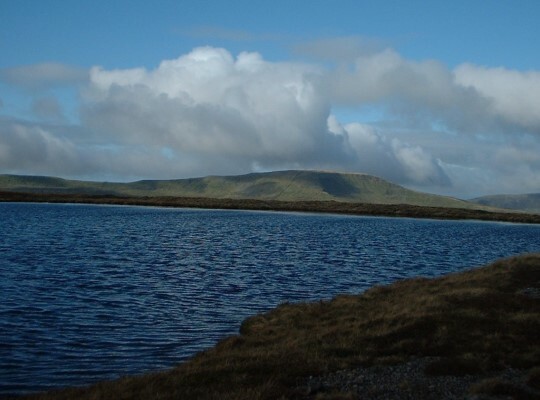 The Whernside Tarns are three large tarns which, together with a number of smaller pools, are situated closely together just over a mile north of the summit of Whernside. 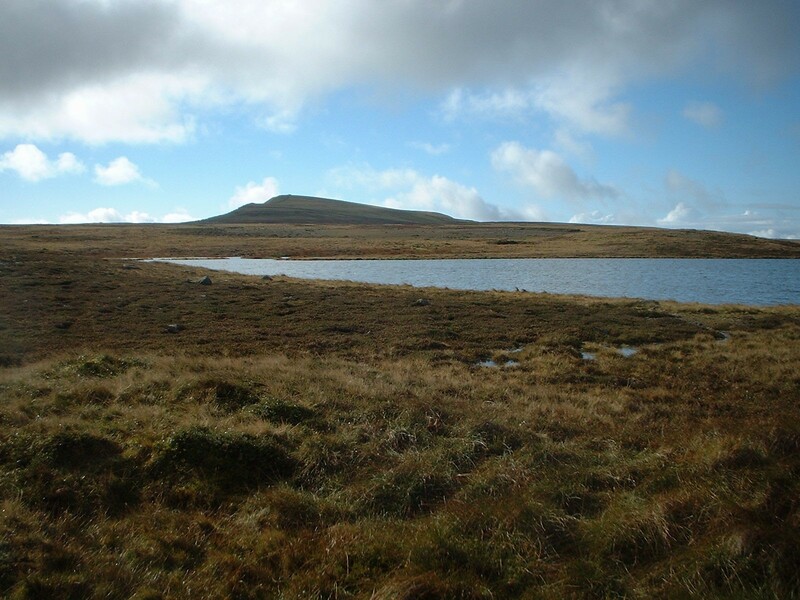 Whilst most visitors to Whernside will at least see Greensett Tarn from the summit ridge above, a lot fewer of catch a glimpse of the Whernside Tarns or even be aware of their existence. They are well worth a visit though and can be included on a fine walk from Dentdale which climbs Whernside via the Craven Way. At Boot of the Wold leave the main track and follow the wall up on a thinner path, only recently marked on OS maps as it is part of Wainwright’s A Pennine Journey. This path passes immediately to the east of the tarns. 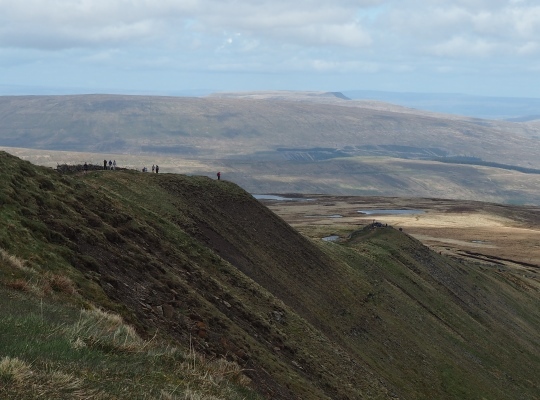 Visitors to the Whernside Tarns will no doubt have them to themselves. They make a fine foreground to fantastic views of Great Coum, the Howgill Fells and, if visibility allows, the Lake District. They make a perfect place to stop and and enjoy a bit of solitude before encountering the crowds on the summit.